​Newcastle United host Burnley in the Premier League at St. James' Park on Tuesday with both sides aiming to build on impressive performances in recent weeks. 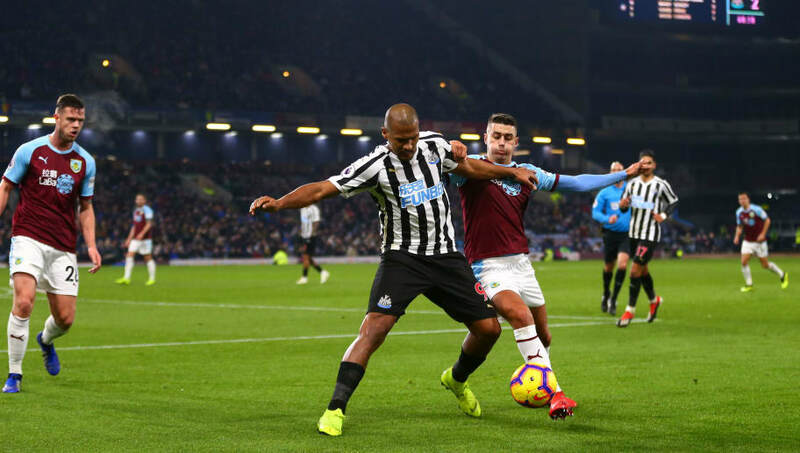 The Magpies secured a third home victory in a row against Huddersfield Town on Saturday as goals from Salomon Rondon and Ayoze Perez saw them pick up a vital three points in their quest for survival this season. Rafa Benitez's side, who are currently 15th in the league could move as much as seven points clear of the relegation places depending on other results and will fancy their chances of picking up a result in midweek. ​Burnley's revival over the past two months has seen them edge away from the prospect of relegation and their 2-1 victory over Tottenham Hotspur on Saturday was reminiscent of the performances they produced last season when they finished seventh in the Premier League. Having seen his side achieve positive results on the road at Manchester United and ​Watford in recent weeks, manager Sean Dyche will see a trip to St. James' Park as an opportunity to move further away from the bottom three. In a game where a victory for either side could prove imperative to their survival hopes this season, Tuesday's showdown promises to be an intriguing battle. ​Newcastle are expected to be at full strength for their midweek clash with Benitez welcoming back the likes of Paul Dummett, Ki Sung-yeung and Jonjo Shelvey to his squad. Midfielder Sean Longstaff is in line for his sixth consecutive Premier League start whilst record-signing Miguel Almiron will be looking to grab his first ever goal for the club after impressing against Huddersfield at the weekend. Burnley will head to St James' Park without Steven Defour who suffered an injury setback in training before Saturday's victory against ​Tottenham. Teenager Dwight McNeil is expected to feature ahead of Aaron Lennon whilst Robbie Brady may make an appearance after a brief cameo role at the weekend. ​Burnley ​Heaton; Bardsley, Tarkowski, Mee, Taylor; Hendrick, Westwood, Cork, McNeil; Barnes, Wood. Newcastle and Burnley have met on 104 occasions with both sides winning an equal amount of games (42) with the other 20 games ending in a draw. In the corresponding fixture between the two side this season, it was the Magpies who were victorious as an own-goal by Ben Mee coupled with a Ciaran Clark header secured all three points for the Toon in a 2-1 triumph. Burnley's most recent success against Newcastle came in October 2017 as a Jeff Hendrick strike gave Dyche's side the victory. Newcastle United have won their last three games at St. James' Park, producing impressive displays to defeat Cardiff City, Manchester City and ​Huddersfield. Despite being 15th in the Premier League standings, the Magpies have been competitive in nearly all of their fixtures this season, losing by more than three goals just once in an away defeat to ​Liverpool. Burnley's form in 2019 has been outstanding with the Lancashire-based side losing just one of their last nine in all competitions. The Clarets have won three of their last six games in England's top-flight and are one of only two sides to have prevented ​Manchester United from victory since Ole Gunnar Solksjaer took over at Old Trafford in December. Newcastle's impressive home record in the last five weeks has seen them pick up nine points from a possible twelve and so they will enter their fixture against Burnley brimming with confidence. With Rondon developing a knack for scoring important goals this season, he will almost certainly be at the heart of the action if his side are to secure what could be a season-defining victory. After producing a superb performance against Spurs on Saturday, Burnley will hope that both Chris Wood (10 goals this season) and Ashley Barnes (9 goals) can produce once more when they head to St. James' Park. A win for Dyche's side could see them break clear of a relegation battle which, until December, they looked primed to be involved in. In what should be an enthralling battle between two sides known for implementing their manager's tactical approaches, Newcastle may just edge it if the likes of Almiron, Perez and Rondon are on top form, edging ever closer to the 40 point margin that is typically needed to survive in the ​Premier League.